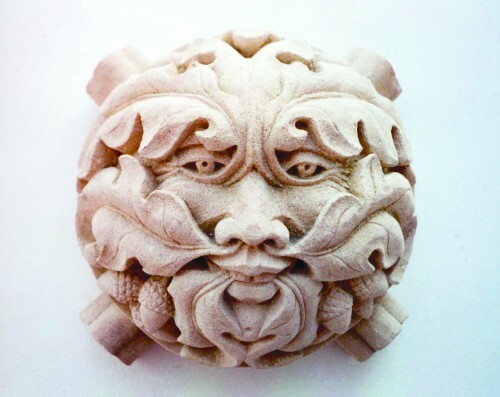 The Greenman is a symbol I use for my business. The Pagan God of the Forest- of Death and Regeneration- is for me the ultimate in archetype. Letter cutting is one of my specialties. I can cut letters for memorials, signage and architectural use. 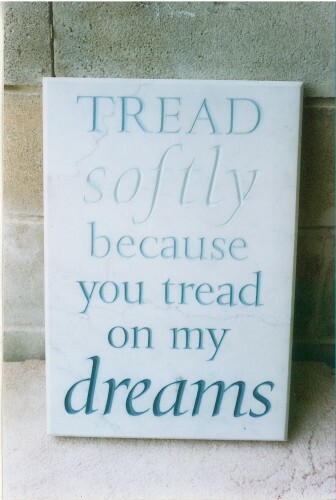 This was cut in Carrara Marble and colored , to be placed in a garden as a stepstone feature. 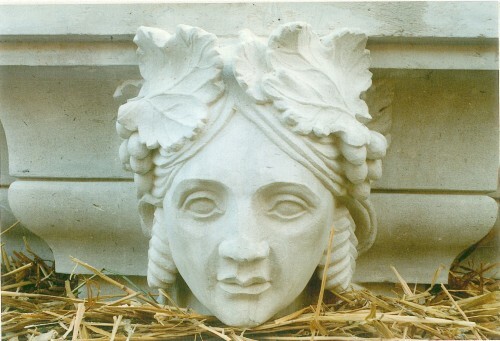 This is a restoration of a Victorian Head of Plenty, which was made to replace 1 of 4 on the Bank of England, London in 1987. 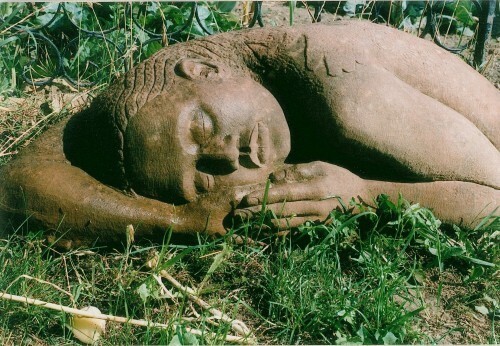 This is a Sleeping Figure Touched by a Guardian Hand made in St.Bees Sandstone. It lives in a garden in Shepperton, England. 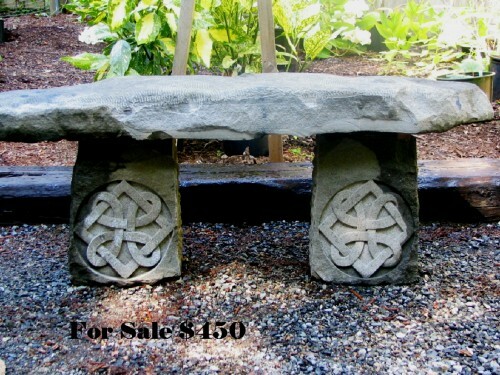 August 2012 carving workshop in Textures, Techniques & Tools--limited students, call 250 247-7621 to reserve a place.